After many hours spent reading his work on such titles as Swamp Thing, Thunderbolts, Inhumanity, Superman/Wonder Woman, Red Lanterns and Letter 44, I have come to a very sane and quite logical conclusion which is that Charles Soule is a super hero. What is his super power you ask? He is impervious to bad ideas thus giving him the ability to write nothing but brilliant comic books. 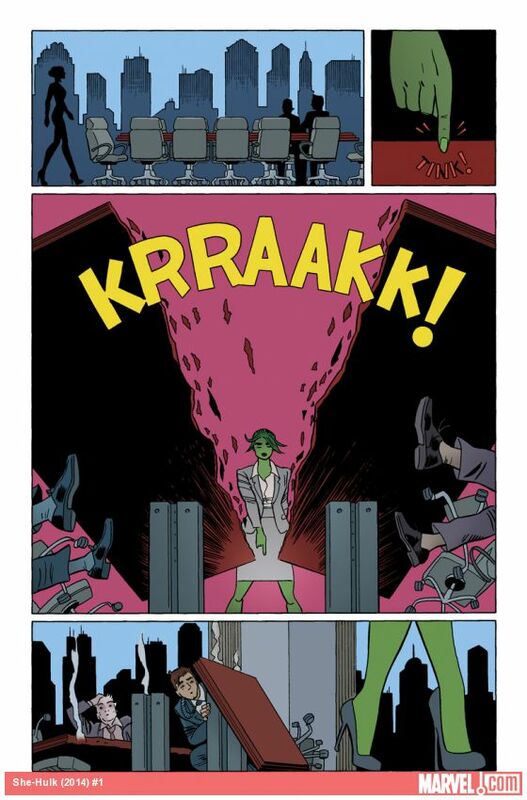 If you need more proof of this very thoroughly researched hypothesis I would direct your attention to She-Hulk #1. 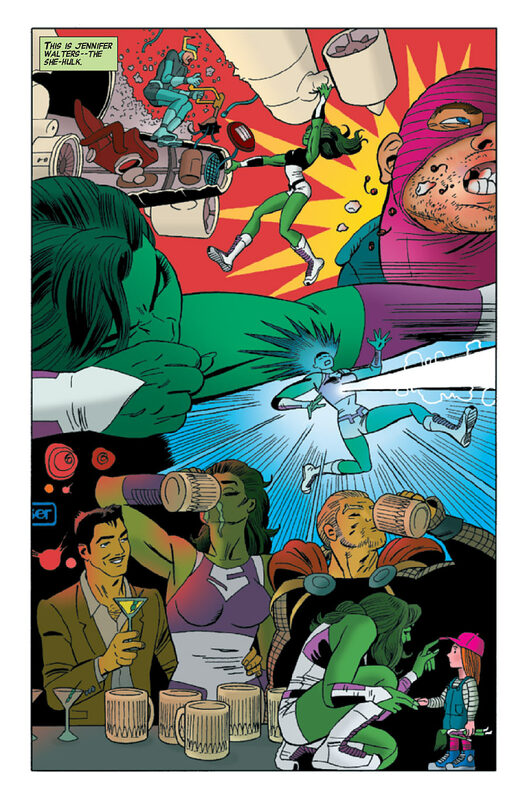 This is not John Byrne’s She-Hulk nor is it even Dan Slott’s, Soule has taken the character on from the ground up and given us something more akin to Matt Fraction’s Hawkeye or Nick Spencer’s Superior Foes of Spider-Man. All these books seem to have one thing in common and that is a focus on the human aspect of the super hero. In fact this book could have been called Jennifer Walters in much the same way that Hawkeye could easily be titled Clint Barton. The characters’ lives outside of The Avengers and away from their other world-saving endeavors are much more the center of these “solo” books. They also offer much more opportunity to lighten the sometimes oppressively heavy material of the straight forward super hero books by allowing the use humor to humanize these super humans. She-Hulk is full of that very Seinfeldian sense of humor that works so well in all the aforementioned books, clever dialogue, sharp wit and relatable situations are all common elements that work so well in endearing these characters to us. This issue begins with Jennifer Walters being callously treated by her current employers at the law firm of Paine and Luckberg. It seems that despite her considerable talents as a litigator and the abundance of billable hours she has clocked for the firm, these cold-hearted sharks only hired Jennifer for her connections to the super hero world and the potential of bringing in high profile clients like Tony Stark and Reed Richards. Suffice to say this does not go over very well with the gorgeous, green-skinned goliath and from there the narrative goes on to brilliantly weave in flying robots, a soulless, evil entity from the eighteenth floor simply and ominously called, Legal and a guest appearance by Mr. Tony Stark himself. However beneath all of this is a story of a woman who will not be denied her dignity. Jennifer Walters does not need She-Hulk, as much as they are one in the same; Jennifer is an indefatigable force of will and nature unto herself. She doesn’t need to play by the “old boys” rules, she makes her own and by virtue of doing so, she is unbeatable. 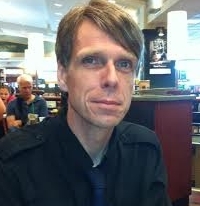 Soule’s experience in the legal field is just one of countless reasons why he is the perfect choice for this book, his expertise in character development and his uncanny ability to bring extreme depth of emotion to his characters are what really make him so well suited for a book like She-Hulk, which in this incarnation, is very much a character driven series. Most of the super hero action in this issue is little more than implied, the vast majority of it takes place” off camera” leaving Javier Pulido lots of page area to explore and render the characters’ interactions and other subtleties that are so much the beating heart of this book. In this one issue Soule and Pulido have done so much more character work than She-Hulk has seen in all of the previous series combined. Not to belittle the work of those creators at all but this series is something very different from the earlier mostly super hero fare. Soule shows us a side of the character that we may have otherwise taken for granted, for instance there is an entire range of emotions explored in this first issue alone; from the pain and rejection Jennifer feels when she realizes she was hired only for her connections in the opening pages all the way to the pride she beams with upon opening her own law practice on the very last page. Soule lets us feel everything along the way with this scrappy young woman, sure she has green skin and can lift a car over her head but she still has feelings and that is what we get here. Javier Pulido is as ideal a choice for artist of this series as Soule is to write it, the chemistry is profound and perfect. Pulido excels at depicting life; his character work is authentic and genuine. He captures the humanity that exists in a moment better than perhaps anyone else. Through his expressive use of facial features, particularly dramatic eyes, Pulido is able to accurately reflect a wide range of emotions. 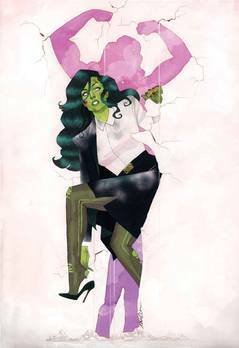 He does a fantastic job of portraying the differences between Jennifer and She-Hulk; Jennifer has a professional yet stylish look in her smart business suits and a certain sweetness when she is dressed casually in contrast to the impressive musculature and shredded clothes of a raging She-Hulk. Pulido gets both of these manifestations spot on as though they were two sides of a single coin. His highly stylized approach and slightly cartoony take on anatomy work exceedingly well with the tonal quality of the narrative and the subject matter as a whole. Color is particularly important on this book and Munsta Vincente really does a magnificent job, especially on Jennifer and in maintaining a dynamic appearance to her coloring in various settings. Overall the visual effects of Pulido and Vincente’s collaborative efforts give this book an innovative feel and embrace a decidedly “indy” sensibility that a lot of Marvel’s new books possess. This entry was posted in Charles Soule, Clayton Clowes, clint barton, Comic Book, Comic Book Reviews, Dan Slott, Grant Morrison, hawkeye, Inhumanity, Javier Pulido, jennifer walters, john byrne, letter 44, marvel comics, Matt Fraction, Muntsa Vicente, Nick Spencer, paine and luckberg, red lanters, reed richards, Seinfeld, shawn warner, she-hulk, superior foes of spider-man, Superman, Swamp Thing, Thunderbolts, tony stark, Wonder Woman and tagged character, Charles Soule, Clayton Clowes, clint barton, comic book reviews, comic books, dan slott, grant morrison, hawkeye, Inhumanity, Javier Pulido, jennifer walters, john byrne, letter 44, marvel comics, matt fraction, Muntsa Vicente, Nick Spencer, paine and luckberg, red lanters, reed richards, Seinfeld, shawn warner, she-hulk, super hero, superior foes of spider-man, superman, swamp thing, the avengers, thunderbolts, Tony Stark, wonder woman. Bookmark the permalink. Have heard great things about She Hulk, will have to check it out, sounds brilliant!